The University of Virginia McIntire Department of Music presents Digitalis 2015 on Tuesday, May 3rd, 2016 at 8pm in Old Cabell Hall. 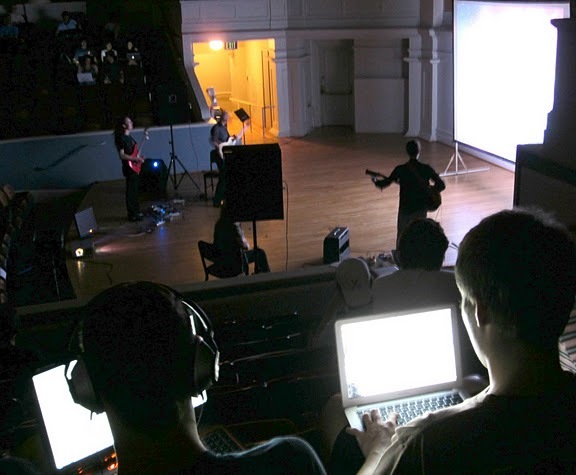 This free concert of experimental work for sound and visual media features premiers by undergraduate and graduate students in Composition and Computer Technologies. These adventurous concerts invite audiences to explore new dimensions of musical experimentation. Old Cabell Hall is located on the south end of UVA's historic Lawn, directly opposite the Rotunda. Parking is available in at the Central Grounds Parking Garage, or in the lots off University Avenue at the University Corner. Handicapped parking is available in the C1 parking lot or in designated spaces on McCormick Avenue. All events are subject to change. For more information please call the McIntire Department of Music at 434.924.3052.